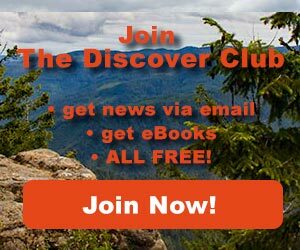 Outdoor News April 6, 2018 - Explore! 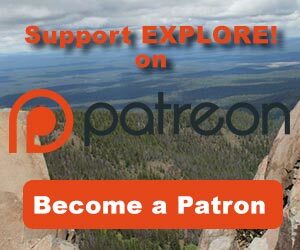 Outdoor News April 6, 2018 - Explore! 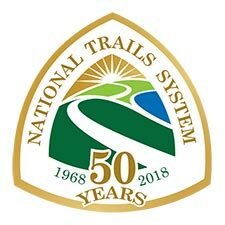 The NPS Challenge Cost Share Program is celebrating the 50th anniversary of the National Trails and Wild & Scenic Rivers systems. Applications are being accepted until May 25. Challenge Cost Share projects are intended to build collaboration between the National Park Service and project partners. For FY 2018, the program will provide $386,000, to be matched 1-to-1 by non-federal funds and in-kind support. The Park Service expects to support about 20 projects. Increasing public use and awareness. Eligibility and Administration: Eligibility is limited to specific NPS-administered areas; these eligible areas are Parks, National Trails (National Historic, Scenic, and Recreation Trails), and Wild and Scenic Rivers (including Partnership Wild and Scenic Rivers). All projects are to be collaborative partnerships between NPS staff and a partnering nonprofit or educational institution. The NPS staff will submit the application, and the partner organization will receive and make use of the funds awarded for the proposed project. 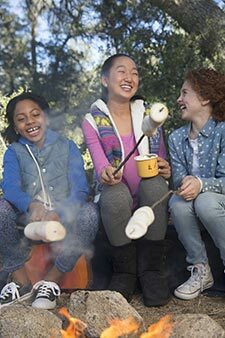 On Tuesday, the Girl Scouts announced a new partnership saying: "we’re thrilled to announce a multiyear collaboration with The North Face through which girls will challenge themselves, learn about the natural world, and continue the Girl Scout tradition of having life-changing outdoor experiences." The partnership will lead to the introduction of twelve new outdoor oriented badges that Girl Scouts can earn. The badges address such topics as mountaineering, trail running, hiking and backpacking. 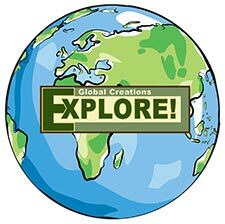 The organization added: "These 12 new badges, which will roll out over the next two years, will teach girls in virtually every U.S. zip code about the benefits of exploration as they take healthy risks, overcome fears, and revel in the beauty of the natural world. The North Face is also lending its expertise in design and tapping its network of subject matter experts to inform the badge activities. Thanks to this new programming, Girl Scouts will be prepared to inspire even more G.I.R.L. (Go-getter, Innovator, Risk-taker, Leader)™spirit in girls as they create their own outdoor adventures and develop crucial leadership skills, preparing them for a lifetime of exploration and success." Health for All is the slogan for this year's World Health Day – tomorrow. The World Heath Organization (WHO) developed the campaign and says, "WHO is calling on world leaders to live up to the pledges they made when they agreed to the Sustainable Development Goals in 2015, and commit to concrete steps to advance the health of all people. This means ensuring that everyone, everywhere can access essential quality health services without facing financial hardship." Dr Tedros Adhanom Ghebreyesus, director general of WHO, added, "No one should have to choose between death and financial hardship. No one should have to choose between buying medicine and buying food." As another way to celebrate World Health Day, the National Park and Recreation Association wants everyone to visit a park, for their health. As you know, parks are the cornerstone of nearly every community. They serve millions as a place anyone can go to be active, connect with nature, and have fun. What better time to celebrate parks than on World Health Day? 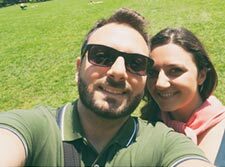 Promote your favorite park by taking a selfie at the park (a 'parkie') and posting it to Facebook and/or Twitter with one of these hashtags: #Parkies #EarthMonth #MeetMeAtThePark or #CelebrateEarth. Please contact me to share your story and find out how you can get involved. Colossal Closeout Event – Last Chance Gear Discounts at BikeNashbar.com! • April 9 – 15: Up To 61% Off Veulta Wheels, Castelli Clothing, Fox Mountain Apparel, Lazer & Limar Helmets. Up To 80% Off Select Cycling Products. Up To 57% Off Select Mountain Bikes. Up To 78% Off Select Cycling Tires. Exclusions Apply. REI Members: Save 20% off one full-price item, and an extra 20% off one REI Garage item. Use coupon code: MEMPERKS. Lifetime membership is just $20. Deal ends Monday! The canyon photo above illustrates an interesting outdoor recreation activity – water hiking. This week's video offers a look at the hike through Zion Narrows on the Virgin River in Utah's Zion National Park. 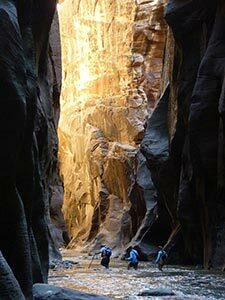 The Narrows is the narrowest section of Zion Canyon. This gorge, with walls a thousand feet tall and the river sometimes just twenty to thirty feet wide, is one of the most popular areas in Zion National Park. You can see The Narrows by hiking along the paved, wheelchair accessible Riverside Walk for one mile from the Temple of Sinawava. If you wish to see more, you will be walking in the Virgin River. This can involve wading upstream for just a few minutes or it can be an all day hike. You can also hike sixteen miles downstream over one or two days, entering the park soon after starting the hike and then exiting at the Temple of Sinawava. Those who choose this option must get a permit and arrange transportation for the one and a half hour ride to start the hike outside the park at Chamberlain's Ranch. See if you can find the location in the video that matches the photo. Enjoy!